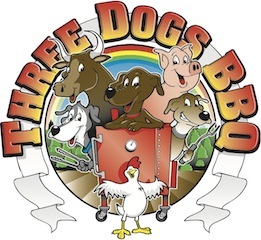 Three Dogs BBQ: Beef Jerky Anyone? One thing that I just cannot get enough of is good beef jerky. Slim Jim's don't count. The only problem is that my butcher always sells out. So, I decided to try to make some on my own. It is easy and tasty. The good part is, you can vary your flavors to your own taste. So, where do I start? 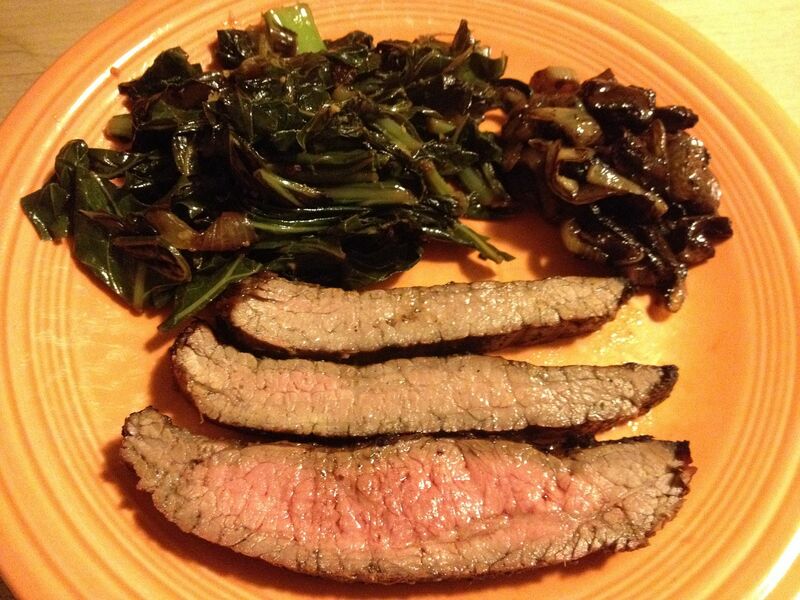 Well, I used Alton Brown's Jerky Marinade as a starting point. I followed the recipe exactly, except I left out the liquid smoke. I added that on my own. After mixing up a batch of marinade, I used 2 lb of chip steaks that I purchased from my local butcher. Into the marinade they went for an over night swim. After the overnight marinade, I poured into a colander to drain, then laid the steaks flat on cookie racks to dry for about three hours. 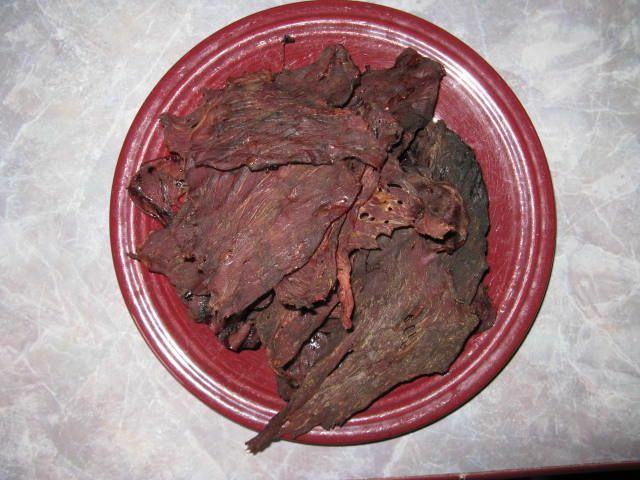 Perfect dried jerky with a nice flavor. You can store it in a paper bag for weeks at a time, if it lasts that long ;) If your jerky is slightly wet, keep your paper bag in the refrigerator so that it does not mold due to the moisture. 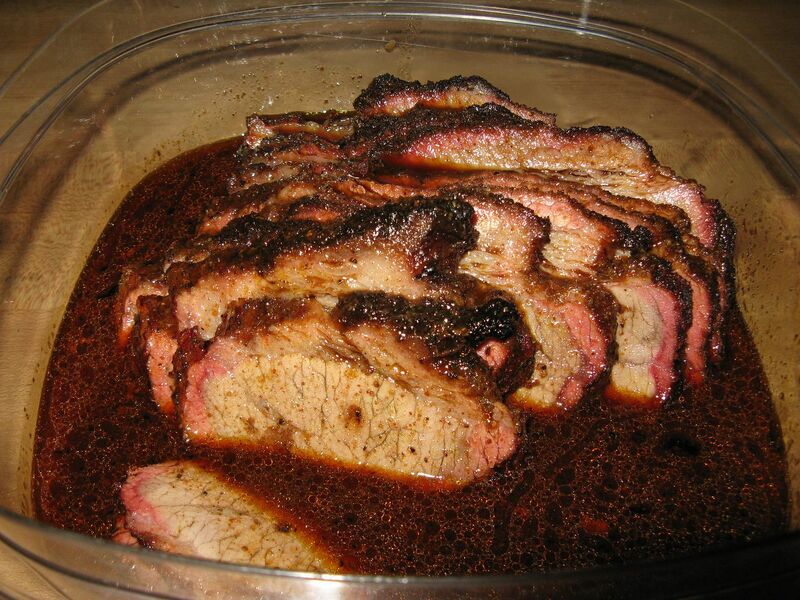 If any of you have some homemade jerky marinade recipes, please share them here for all to try. 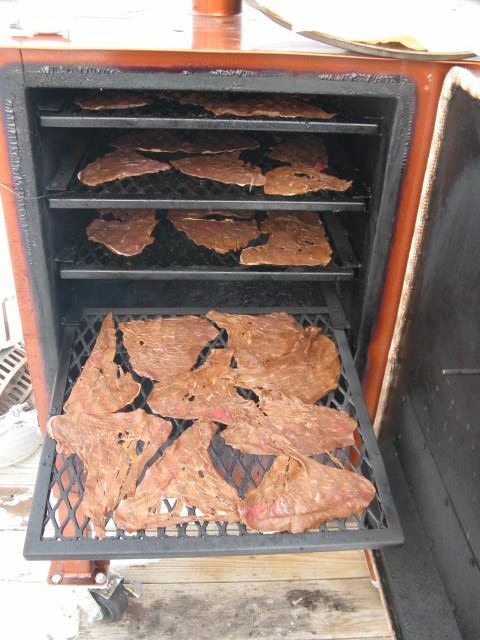 Do you ever cook with your Jerky? S.O.S. or Machacha and eggs come to mind. Nope, I haven't tried either. But, they both sound good. I'll have to give them a try. Any suggestions for a Machacha and egg recipe? We saw a show were Rick Bayliss pounded jerky in a mortar to make the Machaca. A blender would work too. It was basically scrambled eggs, chopped beef and pico de gallo. We made it and have a post on Nov 19. S.O.S. is a dish from my fathers generation and am not really familiar with.